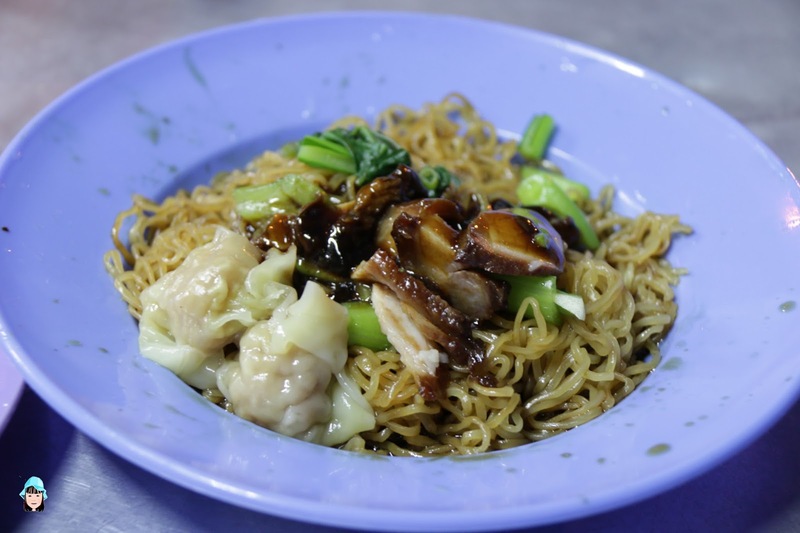 Wantan Mee at Pahang Road, Penang. Have you try the Pahang Road Wantan Mee? Well, it's only operates at night. It is quite easy to locate the shop. At night when you drive along the Pahang Road, you will never miss the shop. 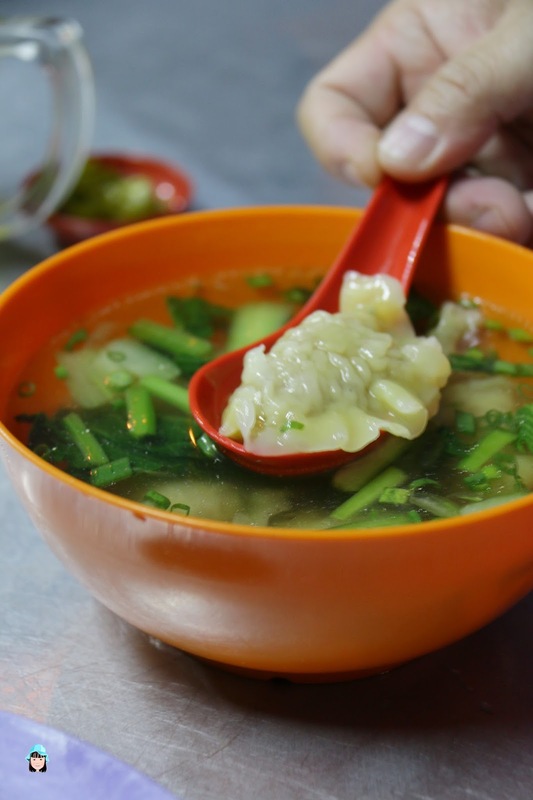 You will see many customers savouring their food. It is open from 6pm till 11:30pm from Monday till Saturday. 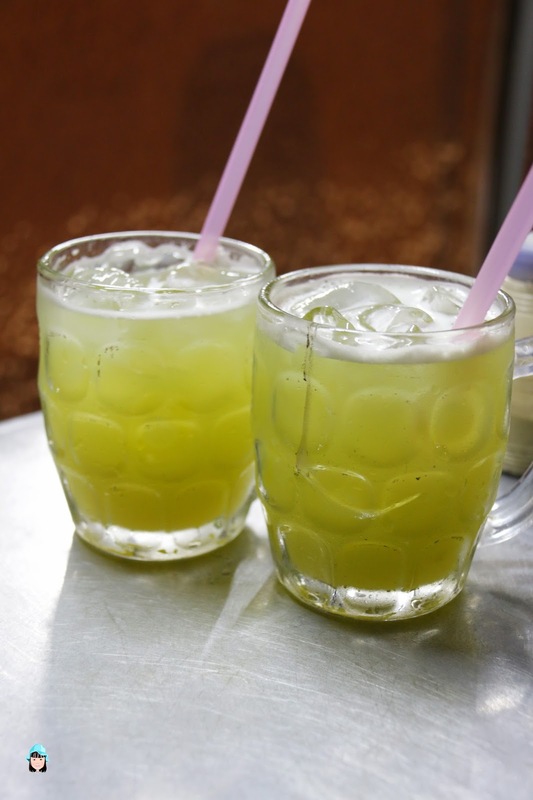 We all love their sui kow very much. The filling is very nice and tasty. Their noodles are bit different from the others. 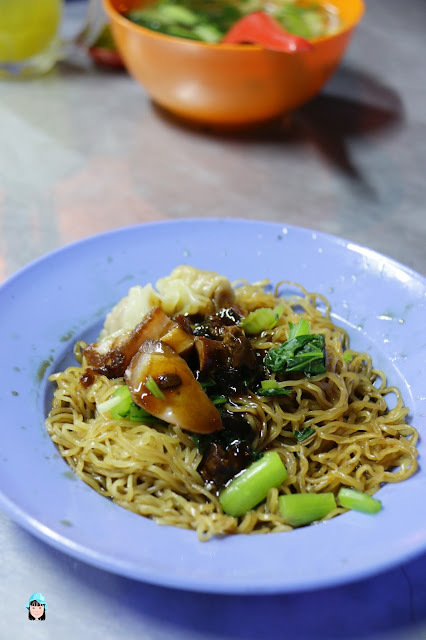 Their watan mee came with the char siew and wantan. They also serve hor fun. Actually, we do not aware that they have hor fun. While waiting for our wantan mee, I saw one table are having hor fun. 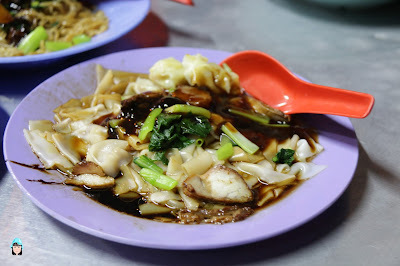 So hubby goes and change one wantan mee to hor fun. If you like hor fun then you can give it a try! kith & kin @ Vantage Desiran, Tanjung Tokong, Penang. Few days ago, my friend and I decided to drop by Kith & Kin for lunch since she is going to pick up something from the same building as well. I never stopped by during day time at Vantage Desiran. Most of the time, I will only drop by at night. On that day, it is packed with cars but still managed to get a car park in front and for the time being the parking is free. It's quite a good idea to serve each table with a bottle of water. 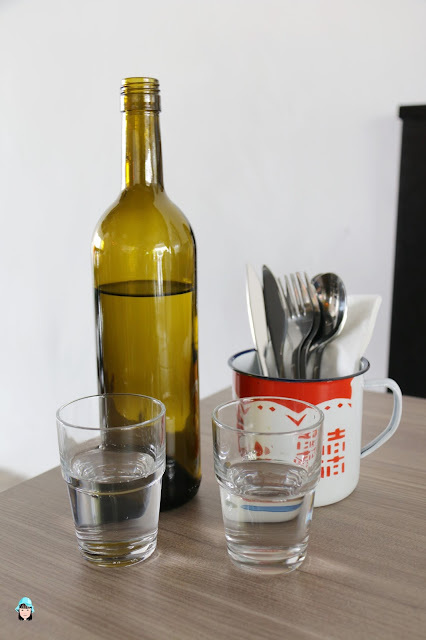 Instead of asking for refill or asking for some extra water. 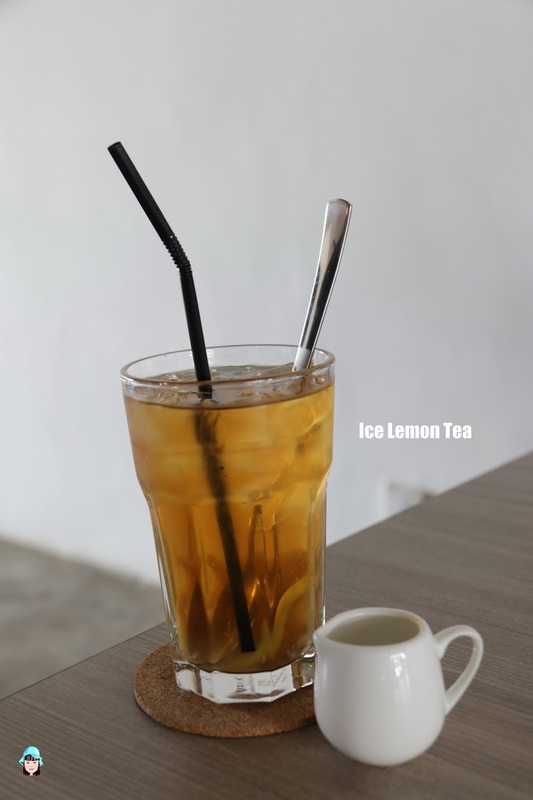 If you would like some sweetness to your ice lemon tea, you can opt for the syrup provided. But I prefer the way just it is being served. My friend opts for the long black. 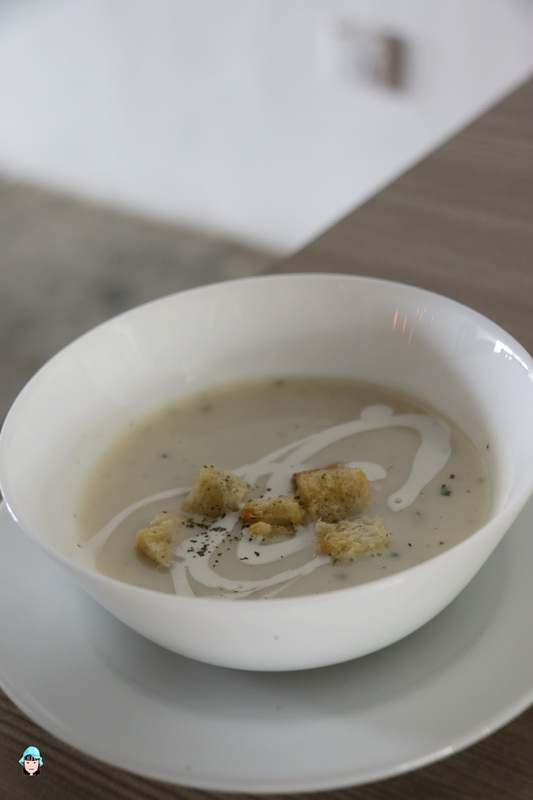 Since we opt for the add on, our soup of the day is mushroom soup. It is also served with croutons. 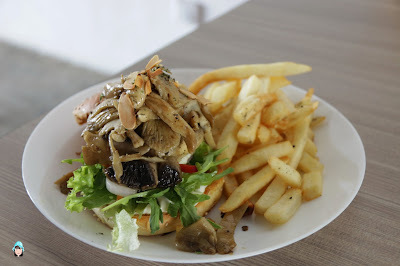 My friend opt for the mushroom burger. 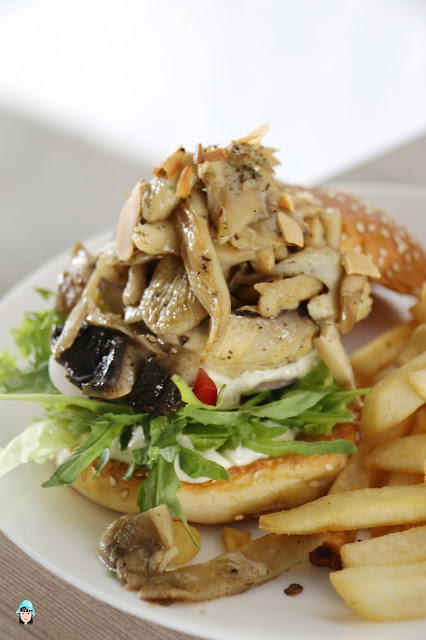 It is served with burger bun and top with portobello mushroom, sauted with assorted mushroom, wild rockets and sauce. It came with some fries as well. Mushroom lover can opt for a try! After browsing through the menu, I saw Chicken Schnitzel is on the menu. Then my friend already knew that I will order this to try. The reason behind this is because we always go for chicken schnitzel during our high school days. 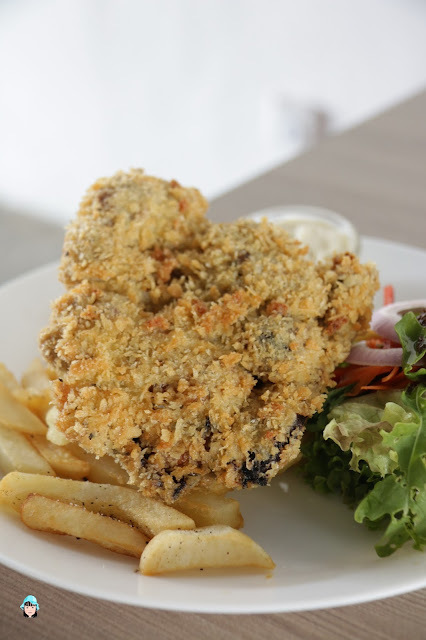 Therefore, whenever we came across Chicken Schnitzel, our memories flash back. 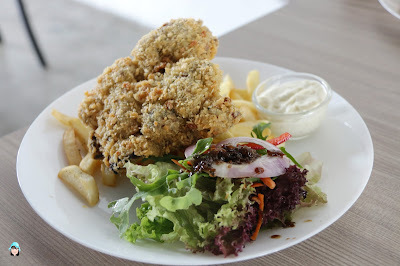 Well, this chicken schnitzel of course is different from what we always had before and the outlook is different too. 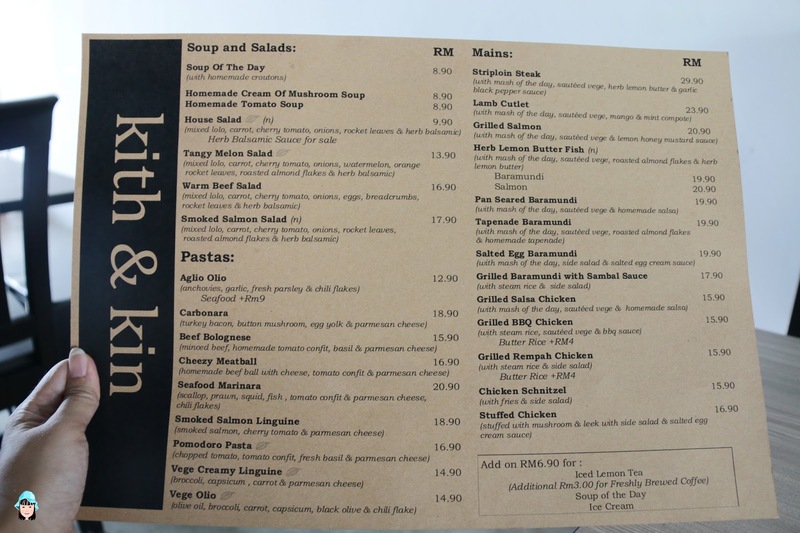 kith & kin has its own version of chicken schnitzel. 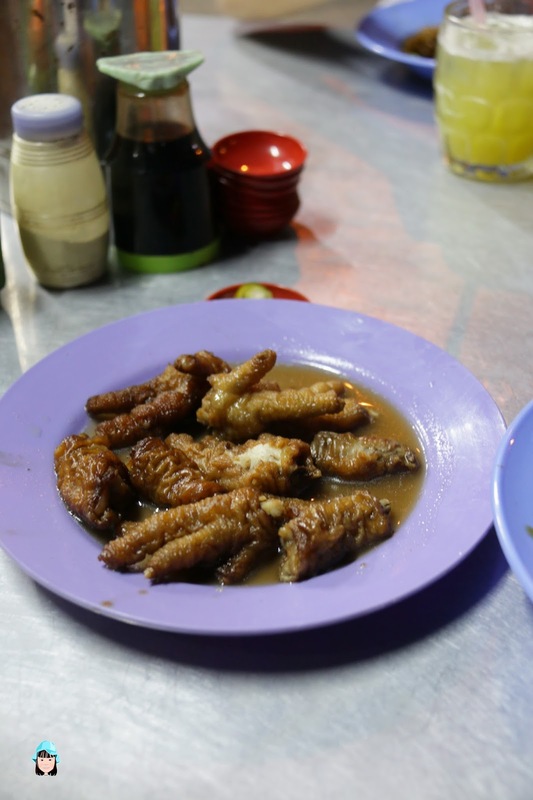 It is very crispy at the outer part and juicy and tender within. It served with some salads and fries. And not to forget their sauce as well. 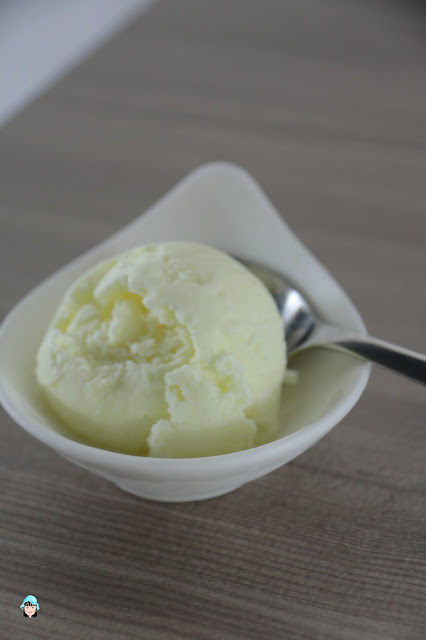 A scope of ice -cream being served after the meal. 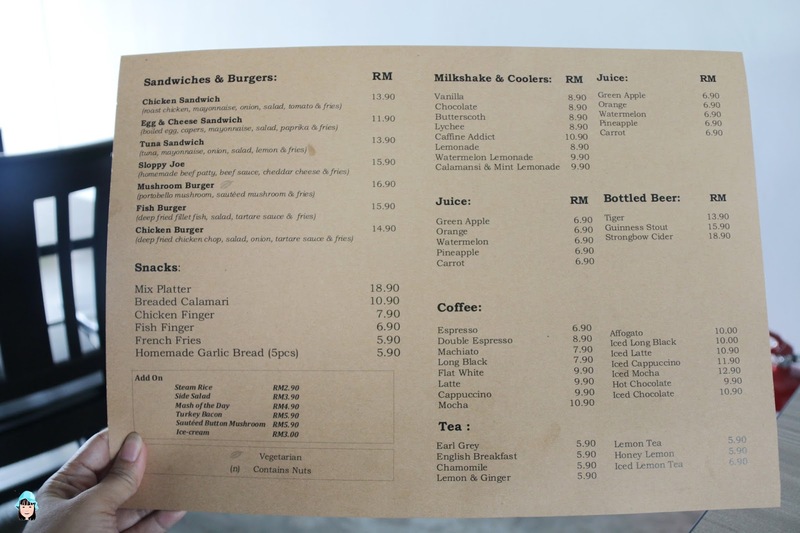 kith & kin just open this month and I believed that they still have room for improvement. The place is very big. Services are good and very attentive. And for parents with children, this is one of the places where children have a corner to play and please make sure that all parents/guardians obey their rules and keep the place clean. Some drawback for us during our visit - its a bit hot for us as we were locate to sit near to the play area. Since we are at the corner table, therefore the air condition was not switched on. Perhaps, they shall gather everyone in the other side during lunch time so that they will have some cool environment while dine in. Apart from that, their add on are value for money. Our total bill add up to be RM54.60. 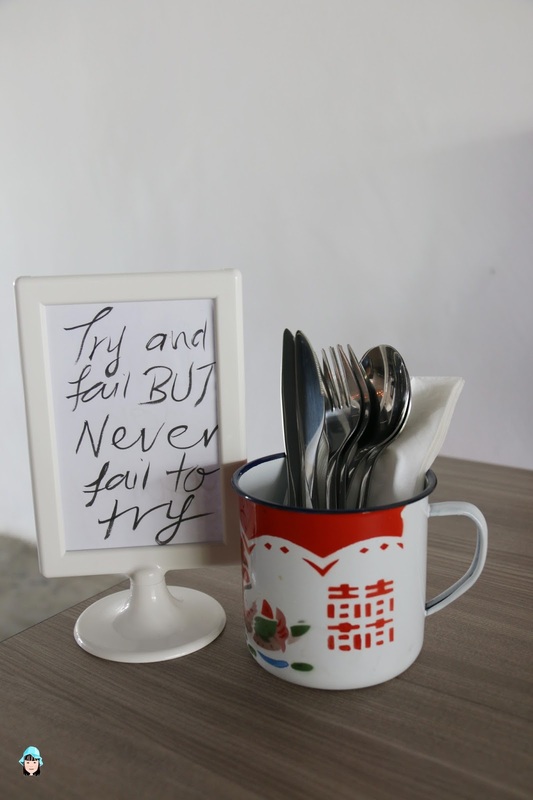 Address: A-G-9, Vantage Desiran, Tanjung Tokong, 10470 Penang.